Annual sailing regatta at Lochaber Yacht Club for keelboats and dinghies on Loch Linnhe. Visiting yachts and dinghies are welcome to join in, and if you are looking for a venue for your travellers services get in touch with our secretary. We are also keen to hear from dinghy fleets looking for a great venue for their travellers event. This year we are celebrating our sport of sailing even more and you are welcome to bring your sailing boat down to join in, or just visit our club and find out more about sailing on Loch Linnhe. 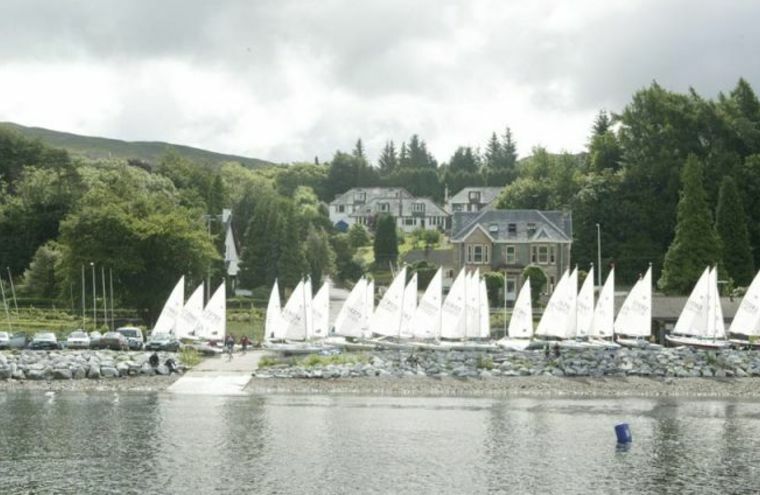 Our local Fort William sailing club welcomes visitors and new members all year round and you don't need to have your own boat - the club has its own boats for members use. Entry forms are available to download from our website. Week nights will have a variety of activities including barbeques. At the weekend, a full sailing regatta on both days will be held. It's loads of fun !